AAA Service, a Red Shovel sponsor, provides plumbing, drain cleaning, heating, AC & electrical services in Denver and the surrounding areas. 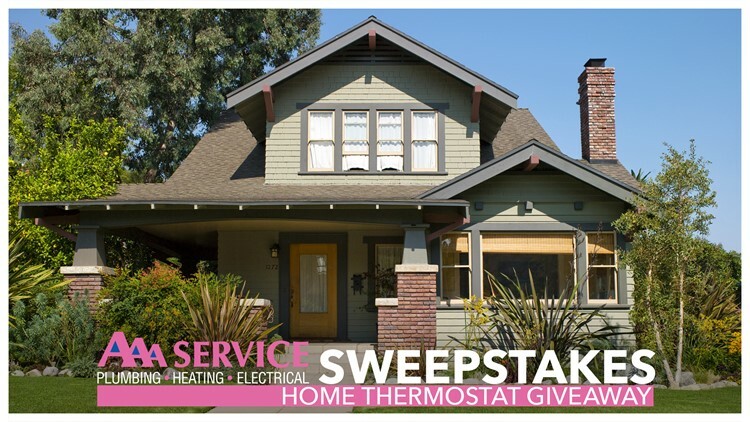 Enter now for your chance to win a NEST T3008US Thermostat from AAA Service! You can increase the number of your entries through the Refer-a-Friend option! After you enter, you will receive a confirmation email that has a specific link just for you to share with family and friends. If someone enters through your specific link, you will receive three (3) extra entries. If you don't see the entry form, click/tap here. Disclaimer: NEST is not affiliated in any way with this sweepstake.